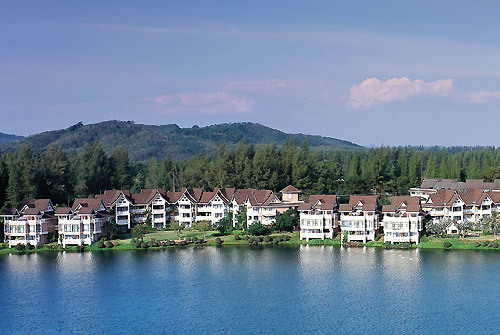 Discover a world of relaxing vacation living at Allamanda Laguna Phuket with beautifully appointed spacious suites facing tranquil lagoons and lush greenery. This exceptional suite hotel provides the coziness of home and the fun of a resort giving you the best of both worlds for that well-deserved getaway or family holiday. 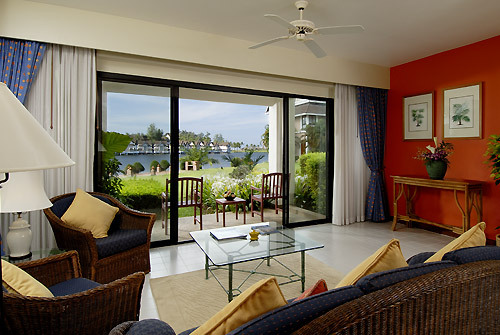 Casually elegant, the interiors have a light Mediterranean feel complemented by the resort's gentle Thai-influenced roofs. 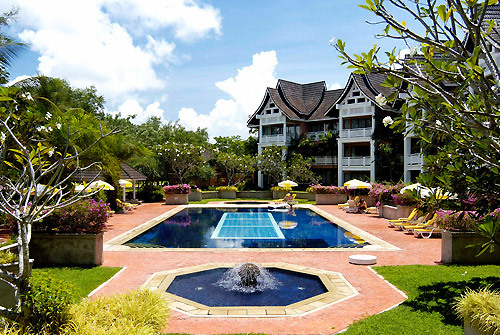 Allamanda Laguna Phuket offers a home to families, friends and corporate guests who prefer the relaxed ambience of a quiet tropical garden resort. Treasured by vacationing families and groups of friends, offers two bedroom duplex's, one or two bedroom suites and one bedroom studio's, all with ample space and privacy. Lavish dining and living areas further recreate the familiar comforts of home. 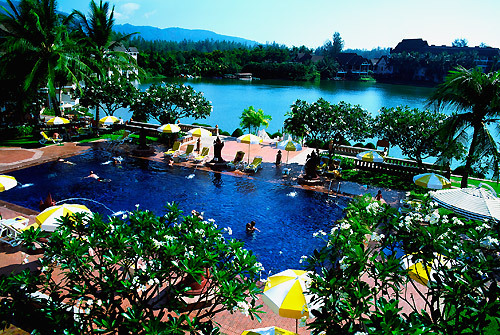 International breakfast buffet and a la carte dinner with a selection of Western and Thai dishes. A comprehensive pizza-pasta menu is available. 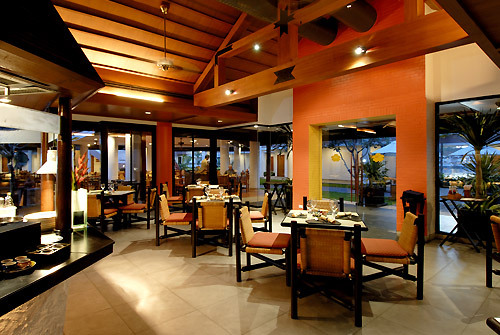 Poolside restaurant overlooking the lagoon with meat and seasfood barbecues, snacks and daily specials. You can naturally also look forward to dining at your preferred time in the comfort and privacy of your suite, as the Room Service conjures up tasty delights to suit all cravings. Free Wi-Fi Hot Spots are available at Canal Village shopping centre in the Village Bakery.